NU offers over 70 academic programs. 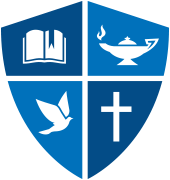 We are widely known for our outstanding Biblical Studies and Ministry majors, as well as for our prestigious Nursing, Education, and Business programs. Learn more about all of our academic programs. What are NU students doing after graduation? NU graduates are employed at all 8 of the Fortune 500 companies headquartered in Washington. Students have also chosen to pursue graduate degrees at institutions such as Princeton Theological Seminary, Oxford, Johns Hopkins, and Harvard Law School. Yes! NU offers study abroad experiences for nearly every major, and also works closely with the Best Semester program to offer students even more flexible options. Students have studied in countries like Korea, Russia, Australia, Sri Lanka, and Vietnam. To see where you might travel, explore the Best Semester website. What is the spiritual atmosphere like on campus? Coming from all different backgrounds, NU students share one common thread—a commitment to Jesus Christ. Chapel, Life Groups, Pursuit (worship gathering), and outreach opportunities are just a few ways NU students are involved in our thriving faith community. With over 30 clubs & organizations on campus there is a wide variety of opportunities for students to get to know each other. When you join the NU campus as a student you'll get the chance to check out all of these clubs and find which ones are best for you. If there isn't one you'd enjoy we invite you to start your own! Why study at Northwest University? We know that education alone is not enough for you to land your dream job, which is why we've integrated internships into the majority of our programs. With well-known companies just a few miles down the road, NU students have endless opportunities to gain resume-building experience that will distinguish them in today's competitive job market. It's no secret that it rains in Seattle, but we're convinced the weather is worth the breathtaking scenery. Islands, mountains, lakes, and rivers are peppered with lush greenery and provide some of the most striking views around. Seattleites might argue about the annual rainfall, but they all agree on one thing—this is a beautiful place to live! We are happy to let you know that 94% of our students qualified for financial aid this year! To estimate your financial aid, use our Net Price Calculator. What does campus look like? While you can view a virtual tour of our campus online, we'd like to invite you to campus to experience NU for yourself! By visiting, you might qualify for a $500 scholarship. Find out which visit experience is best for you. NU's graduation rate is 55%, which is roughly the national average. NU's 85% retention rate is significantly higher than the national average, 77%. All of NU's degrees are designed to be completed within four years. Academic Advisors work with students throughout their time here to ensure that they are registering for the classes they need to complete their degree. What's unique about Northwest University? Members of our tightly-woven community are committed to one another's spiritual growth. Our small student body is conducive to fostering mentoring relationships among students and between students and faculty. Professors seasoned with great life experience and strong credentials invest in students academically and spiritually. At NU, we hope to have an impact on you for more than 4 years; we hope to change your life.